Early childhood learning takes place all the time, everywhere you go. To emphasize and encourage early childhood development, the United Way of the Greater Chippewa Valley installed 11 Born Learning trails in Eau Claire and Chippewa counties this summer. 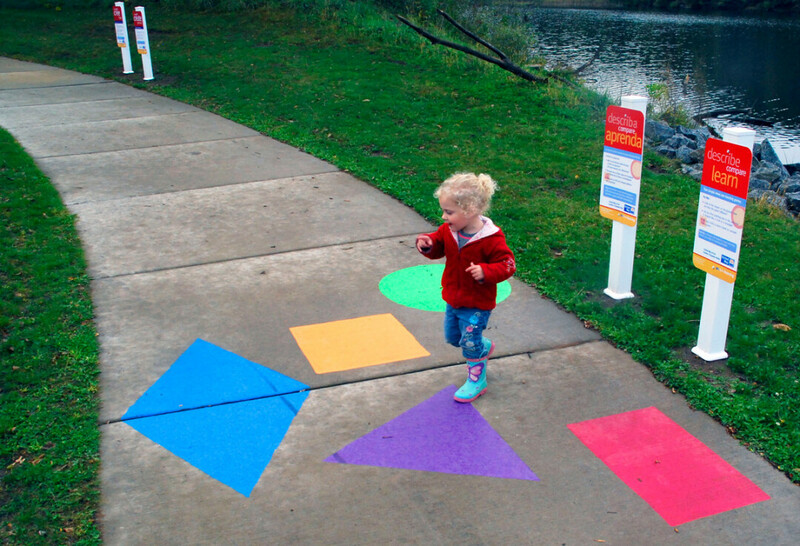 These trails feature interactive activities for parents and children to do together to aid in language, social, observational, kinesthetic, and emotional development. The trails were created with the help of local sponsors and volunteers. More than 110 volunteers performed more than 300 hours of labor to bring the vision to life, according to Kathy Cooper, project organizer and volunteer coordinator of the Successful Children’s Network. “It brings out the community involvement and encourages early childhood development, and any time we can do both, that’s a great success,” Cooper said. United Way plans to expand on this project by installing two more trails next summer.